Some years ago author Maurice Curtis brought out a history of the Liberties, that district of Dublin to the south west that once lay outside the city walls, and where over time there developed a very lively community. This new book, The Liberties, takes a different tack. It is an album of photographs of the Liberties in the last 100 years or so. It can be recommended to anyone interested in Dublin’s urban life, but it is also something more. Turning over the pages showing many now vanished streets and buildings, one is impressed with the faces of the people, worn by life certainly, but also from the smallest child to the oldest grandparent, alive with high spirits. 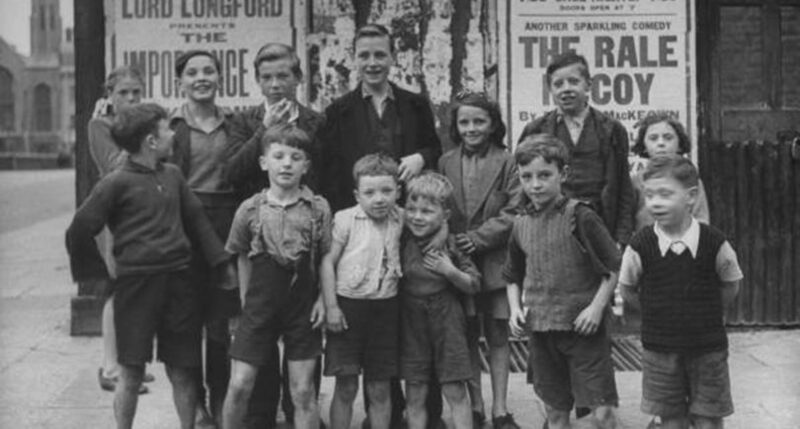 There was a great deal of poverty in the Liberties and that cannot be romanticised. But there was also remarkable human resilience and resource. As a memorial volume to a vanished and vanishing way of life the book could not be bettered. But as the old streets and buildings are swept away they are being replaced by great blank-faced developments, with streets where there is no human space, room for ordinary life, or for children to play. The city authorities under the city manager and the developers are creating what will very soon be another dead zone, like the docks area by night. To purchase a copy of The Liberties, you can check out our catalogue by clicking here.